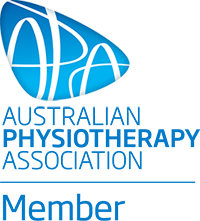 Ian Harris is an internationally experienced Musculoskeletal Physiotherapist and believes in a whole body and mind approach, encouraging patient participation to achieve well being in which you the patient is at the centre of the treatment approach. Ian has over 25 years experience after qualifying in South Africa. He has a post graduate degree in musculoskeletal physiotherapy.He has taught both undergraduate and post graduate physiotherapy students in the UK, South Africa and Australia. 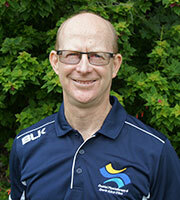 He has been involved in research in fields of sporting performance and injury rehab and prevention. He has also been an extended scope physiotherapist working alongside orthopaedic surgeons in the UK. Ian Has run a high tech movement analysis laboratory in Sheffield analysing gait and complex movements to aid rehabilitation and assessment of complex clinical cases. Ian is a passionate runner and loves to canoe. He is passionate about people and adopts an approach in which the mind/ body combine to achieve many things that might seem impossible. Ian works with patients from all walks of life: from a 3-month old baby to a 97-year old man, he applies excellence in physiotherapy consistently. He has managed a movement analysis laboratory in the UK, where he facilitated the rehabilitation and treatment of patients with complex walking difficulties, such as amputees or those suffering Parkinson’s disease. This expert experience has aided him in providing exceptional insight into a vast manner of biomechanical problems. Ian has published papers on low back injuries in Cricketers, and various papers on Gait analysis in Amputees. He has been enrolled in a Doctoral Thesis, assessing the role of the abdominal muscles in patients, and their impact on low back pain. He has taught at Sheffield Hallam University in the UK, The University of Queensland, and Griffith University to both Undergraduate and Postgraduate students in topics such as: Neck, Back, Jaw, Knee, and Sacroiliac Joint problems. Currently, Ian is involved in a Clinical trial treatment for the University of Queensland and New South Wales for the treatment of Whiplash associated disorders. Ian Is a runner and is very experienced in running style analysis and correction of issues that can cause running and other overuse injuries. Ian believes strongly in working as a team with the patient to reduce your pain and achieve your goals. This philosophy drives the need for personalised treatment programs drawn from not just one treatment approach but many different approaches to get the most for his clients; he recognises that we are all different, and require personalised solutions. Excellence through comprehensive assessment and personalised treatment and integration of the mind and body.